Environmental, Health and Safety News: MSNBC's own poll results Ron Paul won at 78%??? 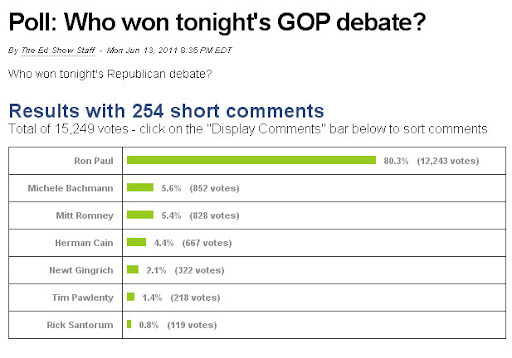 MSNBC's own poll results Ron Paul won at 78%?? ?